One in four South African plant species is of conservation concern. Have you spotted one of them? Would you like to contribute to its conservation? 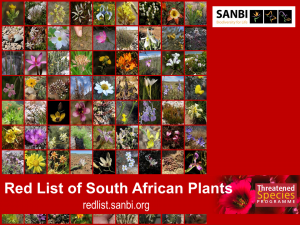 Then notify the Red List team at SANBI's Threatened Species Programme of your find by tagging your observation with the keyword redlist.